If you have kids, odds are you’ve heard about YouTube challenges. Basically, what these challenges dare the filmmakers to do is to either eat or act out something funny for the audience to watch. The majority of YouTube funny videos are just that. If I’m being honest with you, some take it a bit too far! However, odds are the ones your kids are searching for are super fun and easy to do. 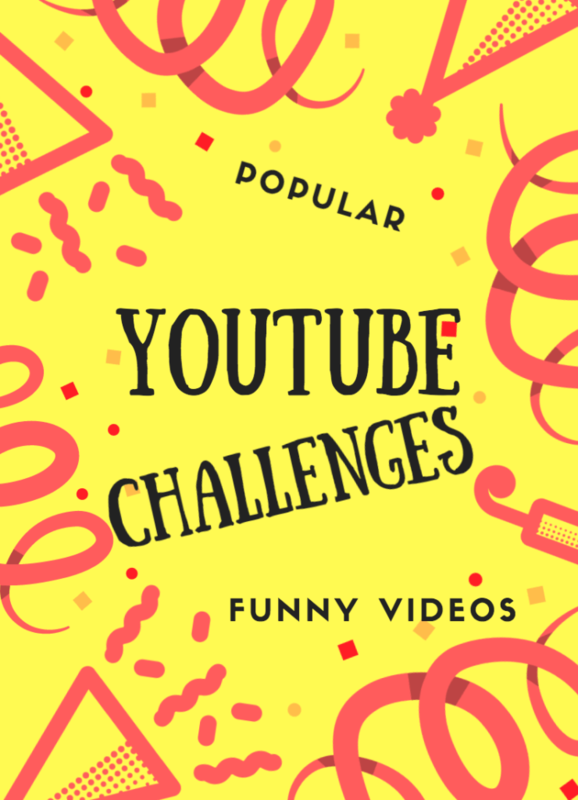 I suggest you take a look at my “YouTube Challenges” list and see which option works for your upcoming family game night! Surprise the kids! They will be so excited to see that you are on top of pop culture trends. If you click on each of the YouTube challenges below, you will see an example of the tasks in action. This will give you an idea of what to do for each listed line item. This YouTube challenges list is totally doable! I could probably list 100 more, but I think you get my point! There are plenty of options when it comes to creating YouTube funny videos. I mean … the choices are literally endless. Replace pop tarts with cereal and you’ve got yourself a brand new idea! LOL! Do you already film YouTube Challenges? Leave your link below so other readers can check out your films and have a laugh of their own. Would love to see! Speaking of YouTube – have you seen some of their original RED series for the family? Pretty sweet!